If you are looking for a highly trained and experienced dentist in Newark, you have come to the right place. 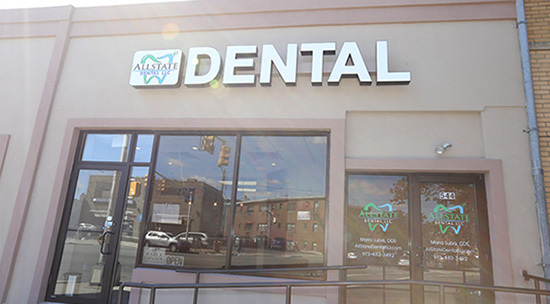 At Allstate Dental, you will receive the highest quality dental treatment with the utmost attention to detail. Our dental office uses the newest state-of-the-art equipment and cutting edge technology and we also uphold the strictest sterilization techniques. 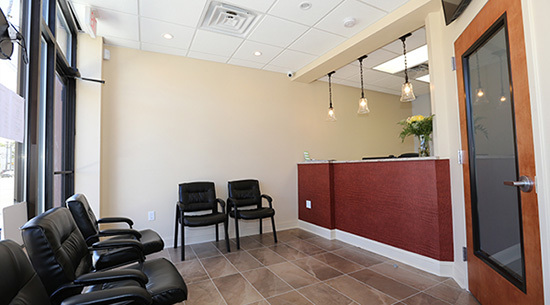 We know that some patients may feel anxious about their visit to the dentist, which is why we make it our goal to make your visit with us as pain and anxiety free as possible. We treat all of our patients like family. We accept VISA, Mastercard, American Express and Discover credit cards. We offer low-interest financing through CareCredit. We also accept all PPO and some locals Insurances. Our office is located at 546 Bloomfield Ave. Newark, NJ 07107. Please enter your zip code or city, state below for door-to-door directions.